Interim Celtic boss Neil Lennon revealed the club's majority shareholder Dermot Desmond told him to ignore "the noise" surrounding his future before yesterday's 3-0 Scottish Cup semi-final win over Aberdeen. Celtic, Betfred Cup winners earlier in the season and 11 points clear of Rangers at the top of the Scottish Premiership, will face Hearts in the final. Lennon revealed Christie looked to have suffered "a broken eye socket or a fractured cheek bone" before he addressed the on-going speculation over his position. He said: "It was a highly-pressured game. Whether it has any impact on my future or not, I don't know. "I spoke to Dermot yesterday and he said all the speculation and all the noise was just nonsense. "I knew that anyway because these are class people I work for and I've worked for before. I know the way they work and I know it was just conjecture and speculation. "They leave me get on with the job which was reassuring, but I didn't need that reassurance anyway. "There was a lot of pressure going into the game because, if we lost, the treble treble's gone and the cup record. "If the club perceives the best way forward is to go somewhere else, I'm not going to argue with that." 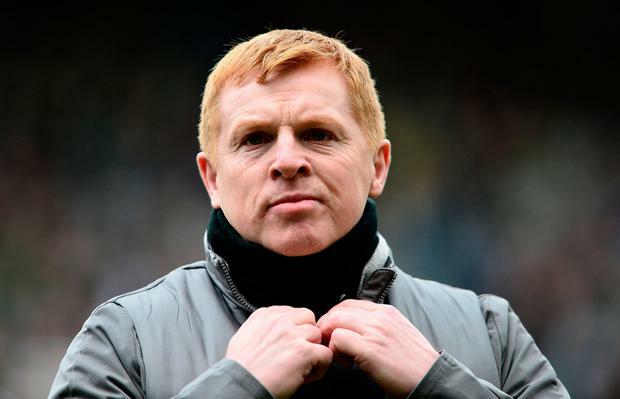 Lennon is hopeful that Christie will be available for the final. The former Celtic skipper said: "People will talk about the sending-off but for me it was a second yellow. "It was a real bad one. I don't think there was any intention to hurt Ryan, but he's late in the challenge. "Unfortunately we've lost Ryan to what could be a bad injury. He was conscious at half-time so we are not sure whether it's a broken eye socket or a fractured cheek bone. "According to the medical team, they are hoping he'll be fit for the cup final when it comes around. We're looking at three/four weeks out. "Both myself and Derek heard the crack. It was a hell of a challenge."